Zimbabwe, officially the Republic of Zimbabwe lies between the Zambezi and Limpopo Rivers, bordering South African to the south, Botswana to the west, Zambia to the northwest and Mozambique to the east. The country is renowned for its striking landscapes, a diversity of wildlife, tropical evergreen and hardwood forests that include teak and mahogany trees. Zimbabwe has 10 cities, the largest by population being Harare and also the Capital. Airlines offering cheap flights to Zimbabwe, landing on Zimbabwean soil are South African Airways, Kulula, British Airways, Air Namibia and Air Botswana including many other stop-over international airlines. There are a total of 13 airports in Zimbabwe with the primary international airport being Harare International Airport (HRE) and of key importance, also Bulawayo Airport. The capital Harare has 13 hotels that include Holiday Inn Harare, Rainbow Towers and Imba Matombo; over 30 B&Bs and more than 40 Speciality Lodgings plus a good choice of restaurants including Emmanuel’s, Amanzi Restaurant and numerous relaxed establishments. Moderated by the altitude, Zimbabwe has a tropical climate with its rainy season occurring from November to March with variations from January to March and November and December. Dry periods on average are from May to September with July and August the driest. The months for hot weather differ across the land with January being Harare’s hottest; Bulawayo’s January, October and November while March and April and September to December are hot in Chinhoyi. High season from July to October is less crowded except for Victoria Falls, during the low season from November to April the parks are relatively quiet. For game viewing, May to October during the dry season, is ideal with animals frequenting waterholes and rivers. For the best weather April, May and September provide pleasant temperatures with rain rarely occurring. Not the best time to go is from October to February – low altitude parks are unpleasantly hot. 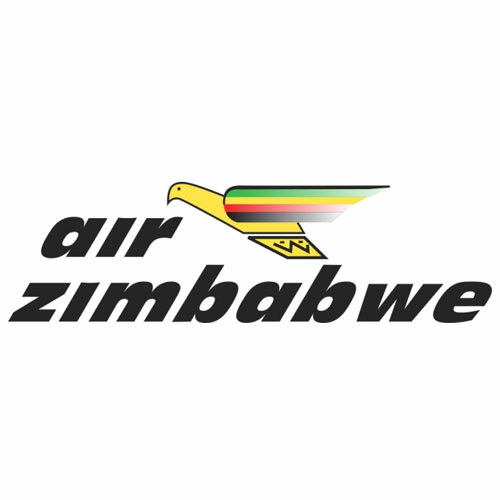 Travellers wanting to fly between Harare, Bulawayo and Victoria Falls can do so via Air Zimbabwe. The National Railways of Zimbabwe is owned by the government and offers Intercity and Commuter trains. Intercity is affordable and links major cities and towns, travelling during the night. Sleeper Class takes 2 to 6 sleeping passengers and hand luggage; Standard Class seats 66 passengers with hand luggage while Economy Class allows a maximum of 100 sitting passengers with hand luggage. Dining cars are available on certain routes. The Commuter trains serve Harare and Bulawayo, transporting passengers to or from their urban homes to the city and are available morning and evening. The bus system comprises old public buses and is not recommended. Besides taking passengers, they take virtually anything else as well but are the only affordable means for local people to get around. Hiring a car rental vehicle with a GPS is still the best way to get around in your own time-frame. There are plenty of well-known car hire companies like Hertz, Europcar, and Avis plus plenty of others based in all major cities and at airports. Not to be missed are Mana Pools and Matobo’s National Parks, Victoria Falls and the Great Zimbabwe Ruins, all UNESCO World Heritage Sites. Have fun getting personal with the animals at Wild is Life in Delport Road, Harare, highly rated by visitors and a genuine orphanage and rehabilitation rescue centre for wildlife! Birders should visit the Kuimba Shiri Bird Sanctuary at Lake Chivero in Harare. The Mukuvisi Woodlands in Queensdale, Harare is ideal for families with great trails to walk or run along while viewing giraffes, zebra and other animals. Cost is around $4 per person. Go to the Lion and Cheetah Park in Bulawayo Road, Harare to see these and other animals. To celebrate a small function outdoors, have a braai or go horse riding, the Cleveland Dam Recreational Park in Mutare Road, Harare is ideal and affordable. Stay at Gorges Lodge in Victoria Falls with spectacular views of the Zambezi River Gorge from the deck. Highly rated by visitors for service, views and food. Victoria Falls Backpackers has dorm rooms, wonderful staff and pool for cooling off after a hot day viewing the magnificent falls. The Chapungu Sculpture Park in Msasa, Harare displays exceptional talent in stunning stone art work. Balancing Rocks in Epworth, Harare is a sight to be seen and hard to believe.